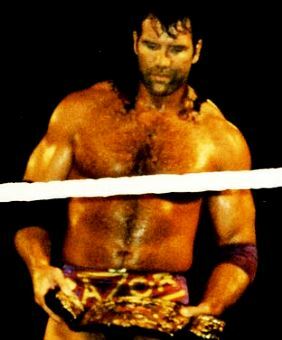 A while back I made the list, 6 Worst WWF Intercontinental Champions of the 1990s. Negativity tends to breed negativity so in the hope of creating some good vibes this time around I thought I’d focus on the some of the top WWF Intercontinental Champions of the 1990s. Of course even being of a positive nature any such list is bound to face some criticism. After all the Intercontinental Champions of the 1990s may be some of the most impressive wrestlers any title ever has been graced with in a single decade and that includes the WWF/WWE Championship. Some who held the title would even go on to become main eventers and icons. Performers like Shawn Michaels, “Stone Cold” Steve Austin and Road Dogg. Okay, maybe scratch that last one. *The only reigns considered are ones held in the 1990s. If a wrestler held the title earlier than that or later than it is not counted. *The quality of a wrestler’s title reign is not equal to their overall talent. For instance, The Mountie aka Jacques Rougeau is the bee’s knees, but calling him a great Intercontinental Champion (let alone being in the top six of the 1990s) is pushing it. *The time a wrestler held a title is much less important than what that wrestler did while holding the strap. *Whether it made sense or not for a wrestler to hold the championship is taken into consideration. *The importance of how holding the championship affected a wrestler’s career is considered. So let’s look at the 6 Best WWF Intercontinental Champions of the 1990s! One part of what made Bret Hart the greatest WWF Intercontinental Champion of the 1990s and arguably of all time is that every time he won or lost the title it was a classic match. Hart first won the championship from another great title holder in Mr. Perfect at WWF SummerSlam 1991. Aside from just moving the belt onto Hart this match really helped establish him as a singles talent after years of mixing it up in the tag scene with The Hart Foundation. Classic may admittedly be a little strong to describe Hart’s first title loss to The Mountie, but it was still an entertaining tale of a hero getting screwed out of his championship with the villain later getting their comeuppance. 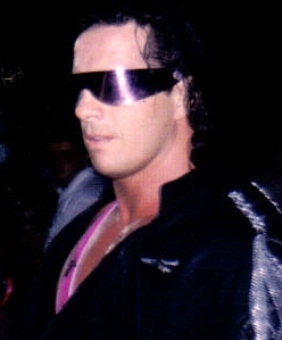 Hart’s second reign was book ended by defeating Roddy Piper at WWF Wrestlemania VIII and headlining Wembley Stadium at WWF SummerSlam 1992 with a loss to The British Bulldog. Just think about that! Hart had back to back certifiable classics at SummerSlam with a great Piper match and a decent Mountie match thrown in the middle. Yet, a smaller, but important part of what made Hart a top title holder is that he was a fighting champion. Seriously, according to cagematch.net Hart had nearly 400 matches in 1991 and 1992 combined, during much of which he was champ. Look at some old house show results sometime and check out how many times he defeated Shawn Michaels. No wonder that whole Montreal thing happened! 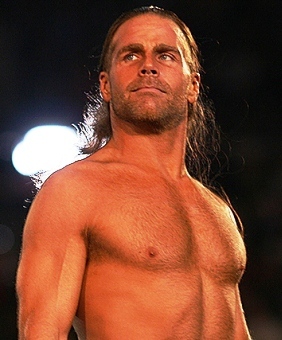 Okay, Shawn Michaels may have been the biggest jerk ever in the 1990s (even more so than losing to Bret a million times could justify), but damn it the man was talented! After the SummerSlam 1992 encounter Bulldog had, Michaels ended Bulldog’s brief and underwhelming reign at a WWF Saturday Night’s Main Event. For a while prior to this Shawn had been building himself up with interviews to distance himself from his former image as a face in The Rockers and change that image more into that of a cocky, little scumbag boy toy. Well, I guess that cliche about the best gimmicks in wrestling being one’s own personality with the volume turned way up really is true! At any rate Michaels had a decent feud with former tag team partner Marty Jannetty and later took on Razor Ramon in one of the greatest matches of all time at WWF Wrestlemania X. Michaels’ time as champ was not without controversy as the whole set up leading into his match with Razor revolved around him being a jerk who refused to defend his title (which was only about half storyline). Likewise in a separate reign in 1995 (that Michaels didn’t even really need in the first place) he vacated it to Dean Douglas after having trouble with some marines (don’t ask). However, his matches frequently stole the show, he worked as both a heel and a face champ and damn it I mean just think of that ladder match with Razor! Now if we’re talking about Michaels reign with the WWF European Championship then…well again just don’t ask. When I first came up with the idea for this list I thought for sure I’d rank Mr. Perfect in the number one spot. After all, the man held the championship for over 400 days in the 1990s, was a legend on the mic, made the belt look like a treasure, really the list just goes on. However, if you look further into his reign you’ll see that while like Bret he was a work horse that according to cagematch.net had nearly 200 matches in 1990, the marquee matches weren’t as strong as those of Hart and Michaels. Perfect only defended the Intercontinental Championship at one Wrestlemania. Quick! Without looking it up can you remember it? To answer my own question it was a match with The Big Boss Man at WWF Wrestlemania VII that ended by disqualification. Still, Perfect is among the best Intercontinental Champions ever and him and Boss Man even made that feud fun as silly as it was. Another important aspect of Perfect’s reign to consider is each of his reigns ended in putting emerging talent over. 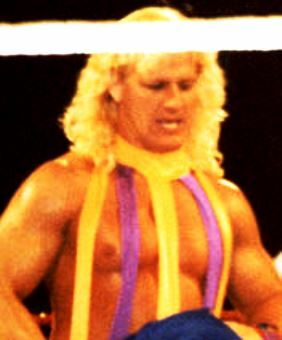 In addition to Perfect’s aforementioned loss to Hart, Perfect also dropped the championship to arguably the most talented member of the Von Erich family (and certainly the best not named David or Kevin), Kerry Von Erich. It is true that Kerry Von Erich as The Texas Tornado did not go very far, but it is not Perfect’s fault or because of a lack of enthusiasm from the WWF office. Kerry had problems. Scary problems. 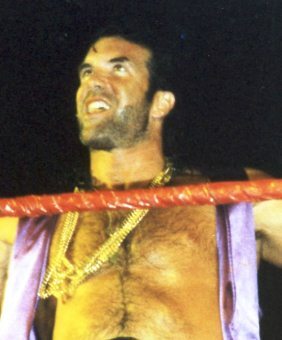 In the early to mid 1990s Razor Ramon was one of the biggest stars in the WWF. Yet, he did it all without ever holding the WWF Championship. Part of the reason for this was Razor’s incredible charisma. While the case can be made that like Jake “The Snake” Roberts (in more ways than one sadly) Razor didn’t need a title to get over with fans, Razor did a great job of making the championship look important. Plus, Razor held the title longer than anyone else in the 1990s, capturing the championship a then unprecedented four times. Aside from his famous Wrestlemania X moment with Michaels and a rematch of sorts with Michaels at WWF SummerSlam 1995,Razor also was always willing to help establish talent whether they deserved it or not. Ramon gave considerable bumps to Diesel, Jeff Jarrett and Goldust by dropping his title to each man, the last of which would go on to become one of the WWE’s longest running gimmicks. The Rock was a champion at a different time than a lot of this list. While The Rock first gained WWF gold in a fluke win against HHH (at the time more formally known as Hunter Hearst Helmsley) he would only really move onto greatness as The Rock. Although The Rock had a tough time making chicken salad out of chicken crap with his Rocky Maivia gimmick, the same cannot be said of his second Intercontinental Championship run. 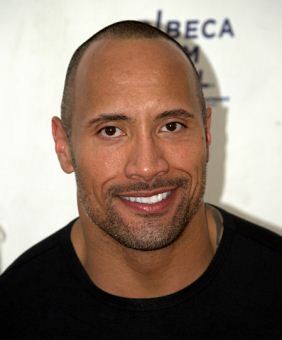 The Rock was awarded the title by “Stone Cold” Steve Austin after Austin essentially said the title was below him (there’s one good reason Austin isn’t on this list). However, from there The Rock held the title for 265 days (the longest single reign since Mr. Perfect’s 1990-1991 run) and most memorably feuded with HHH (by that point just going by HHH). With so much yo-yo pushing these days with the likes of Kofi Kingston, The Miz, Wade Barrett and others who will win the WWE Intercontinental Championship then fall back down the card, it was a real treat to watch The Rock and HHH feud and know you were watching the main eventers of tomorrow. This spot had to be the toughest one on the list to think of. After all, it is the very last spot! In fact, I originally had thought about slating HHH in this place, but all that epic Rock feud did was result in a 40 day HHH reign before HHH vacated it due to injury. Likewise, it is tough to speak too well of his first reign what with HHH spending so much of it feuding with Marc Mero. Jarrett on the other hand performed in two vastly different periods for the WWF in the 1990s so he got a chance to spread himself around feuding not only with Razor, Shawn Michaels and a then still promising Bob Holly, but also fun entertainers in the Attitude Era. This latter group may not have included the greatest crop of in-ring performers, but it is tough to argue someone like The Godfather was not memorable. Plus, there was the vastly underrated D’Lo Brown, who Jarrett also defeated to win the WWF European Championship and become WWF Eurocontinental Champion. Heck, even the good housekeeping match he had with Chyna was at least memorable. In fact, some of the time when Jarrett was Intercontinental Champion, it was easy to see why he and others thought he could go further. Of course, it was not until years later we would know what kind of tragedy that could lead to. Well, hopefully you had some fun reading and I got some good karma out of making this list to balance the other one. Of course, not everyone could make the cut. Some great performers with memorable reigns like Goldust, Owen Hart and HHH were left off…but at least I’m always open to hate mail. So if you feel like sending me some hate (especially about that last dig at TNA) feel free to do so right here!